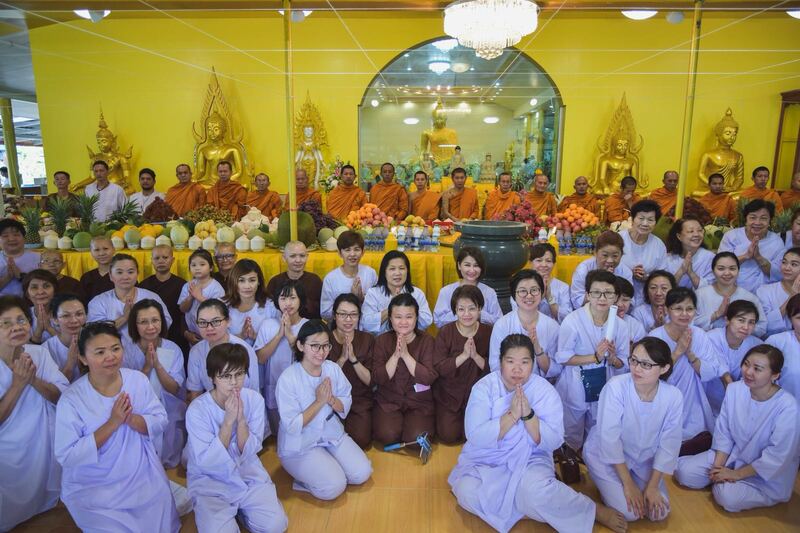 In conjunction with the Ullambana Festival 庆祝盂兰盆节, a Mahasangha Dana is organized by Samathidhammaram Centre on Saturday, 25 August 2018. 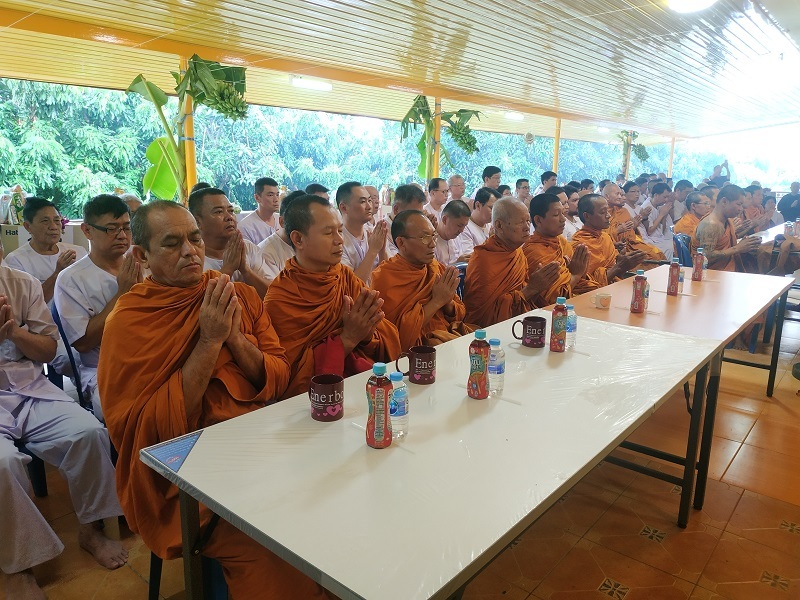 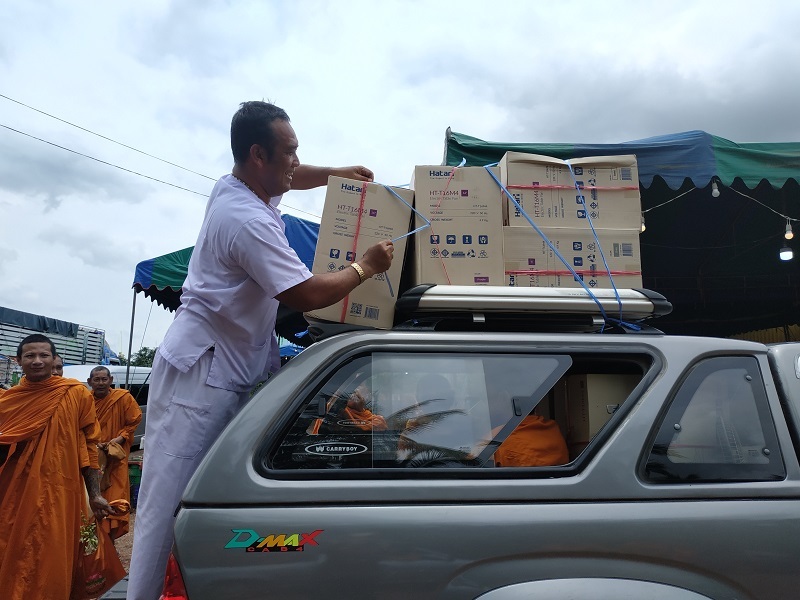 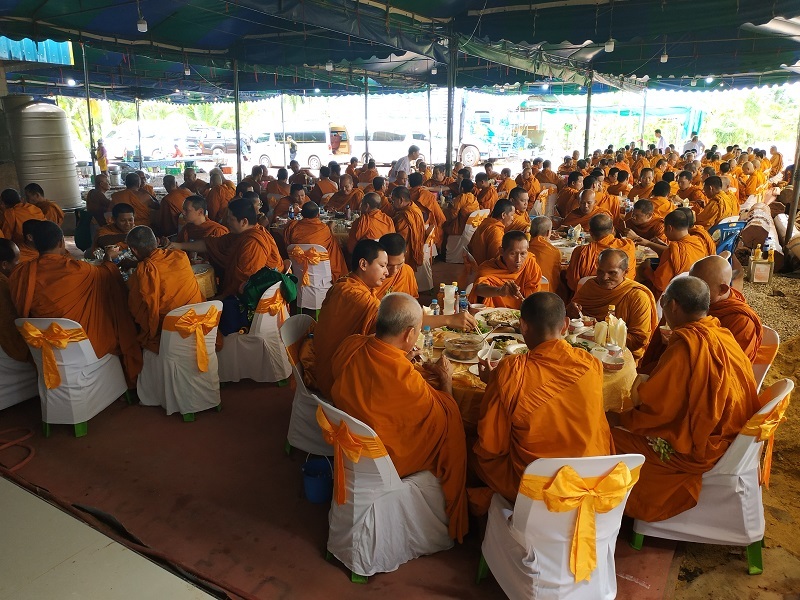 The event has received overwhelming response with more than 300 donors who are sponsoring the monks and other donors who offer support for the event. 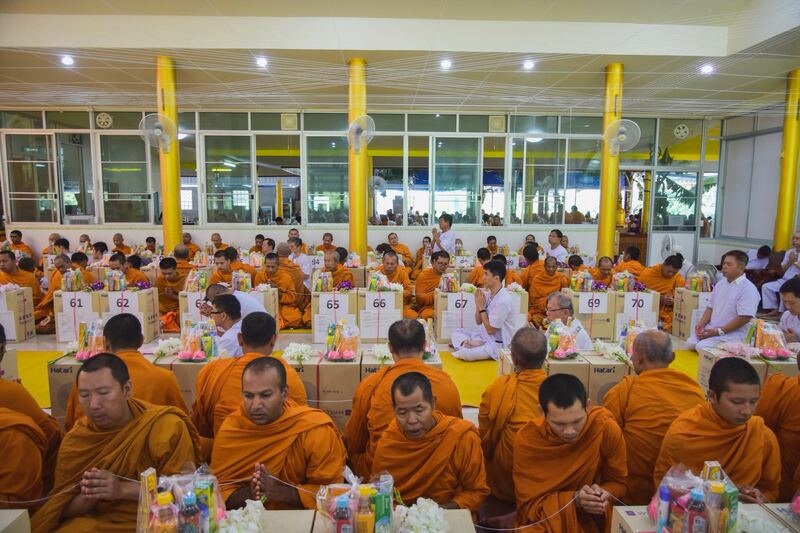 Morning session consists of Sanghadana and offering of lunch to over 300 invited monks. 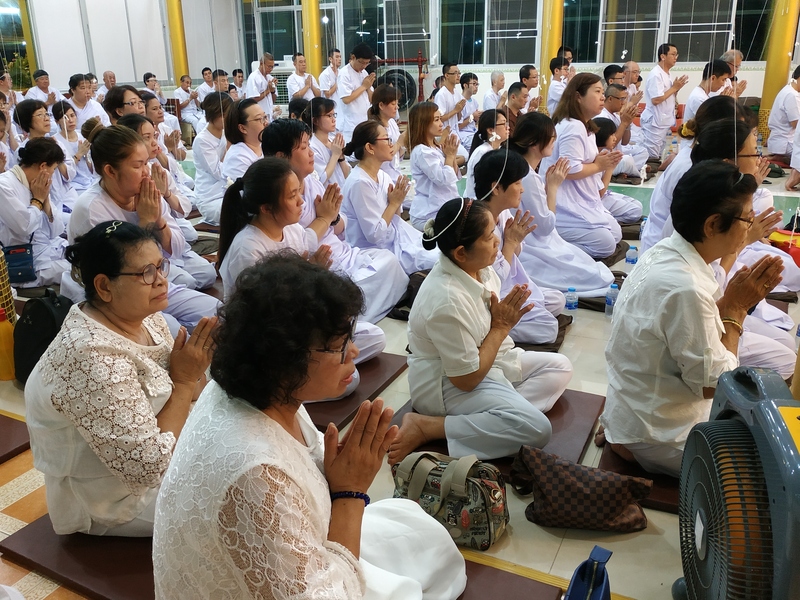 Over 100 participants from Thailand, Singapore and Malaysia attended this event. 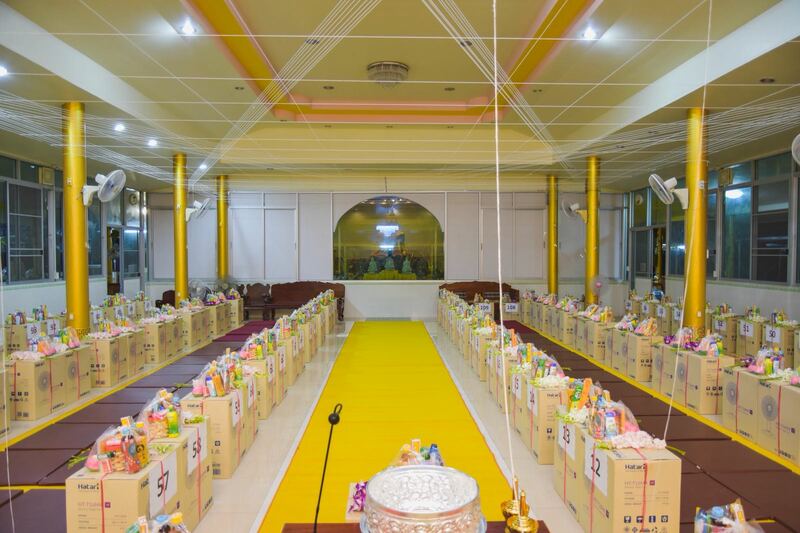 Below are some of the photos taken of the event. 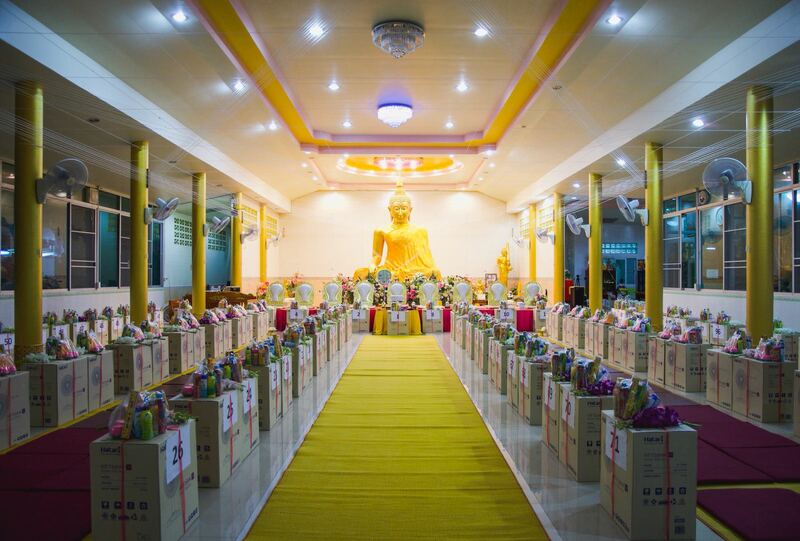 The place was set up with help with team work from participants. 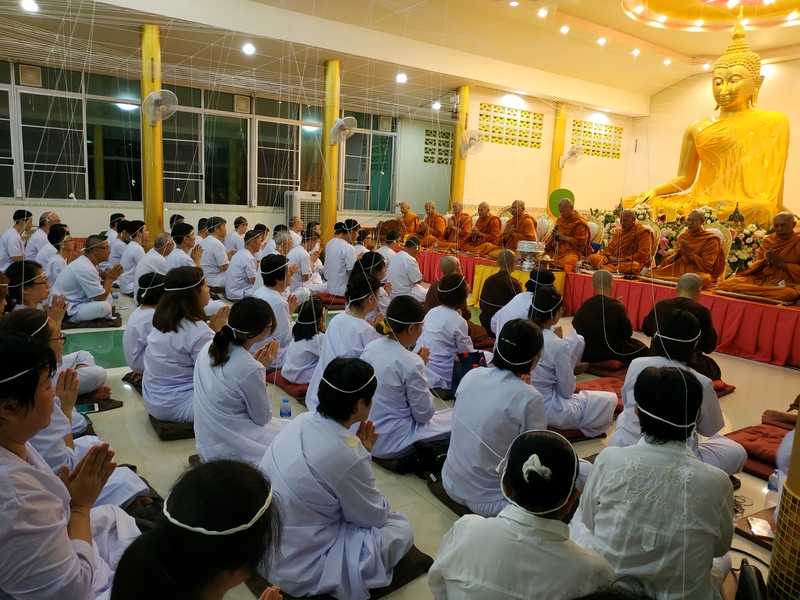 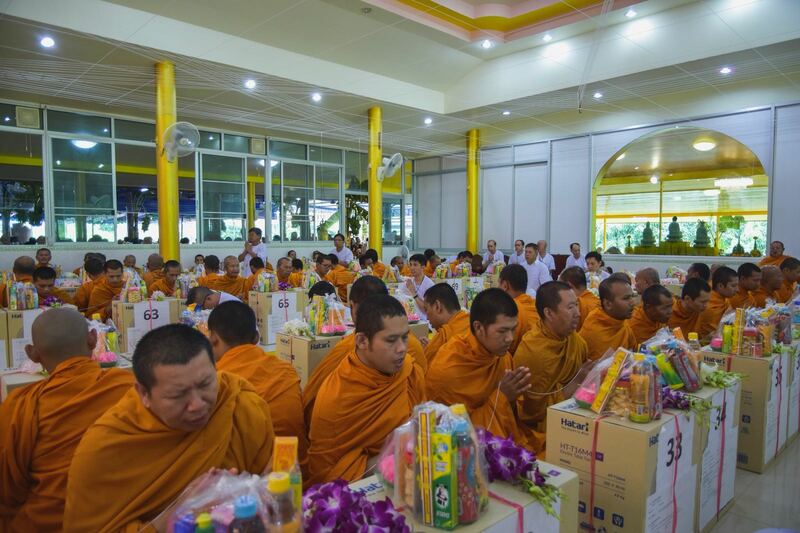 16 monks, led by Ajahn Sher chanted the blessing in the morning before the Mahasanghadana Event. 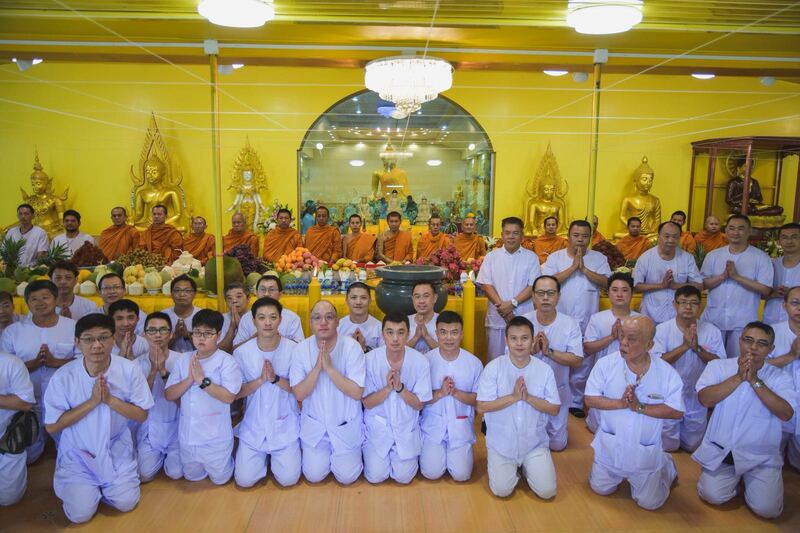 Above: Group photos of the participants taken with the monks after the chanting session. 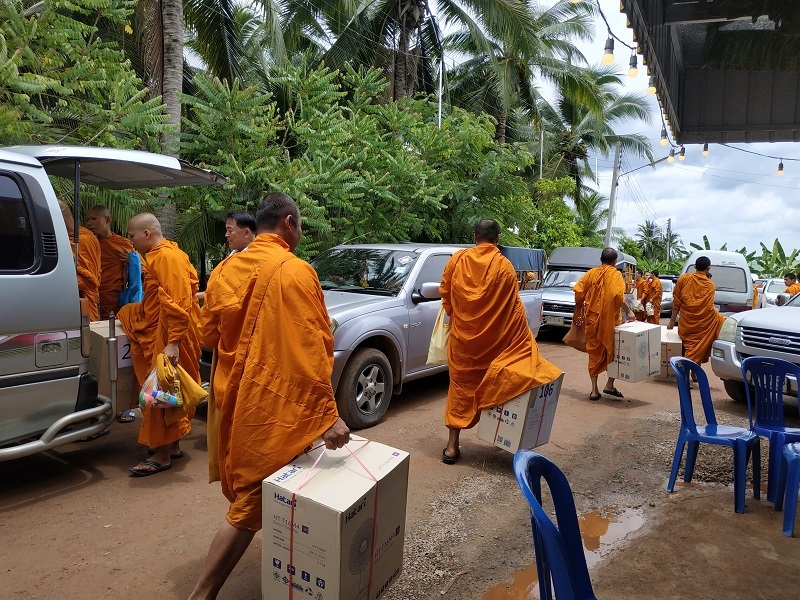 Later in the morning, 318 invited monks arrive from various temples. 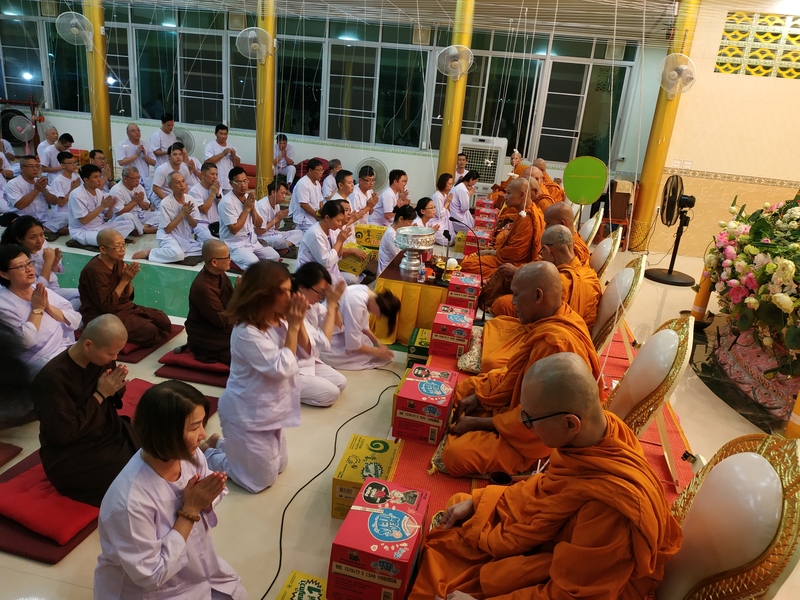 The chanting session commerce with invitation to the devas and Buddhist parittas. 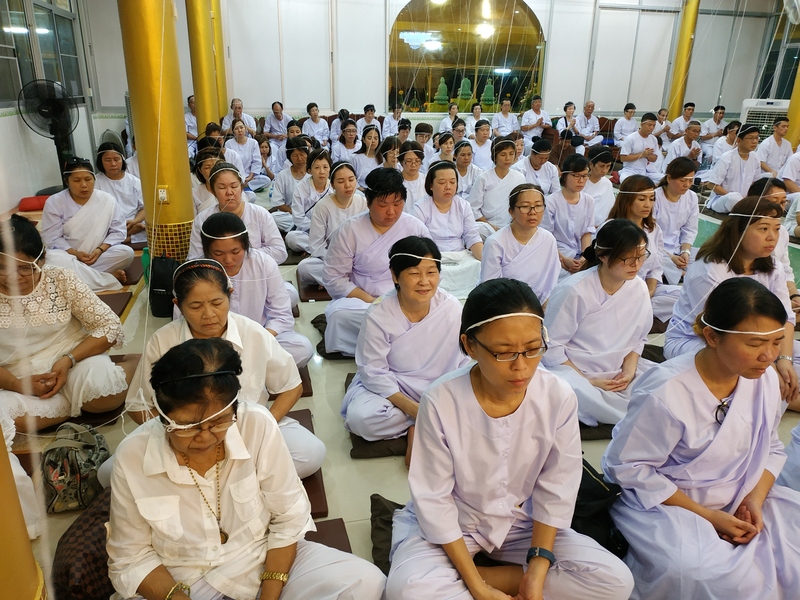 This is followed by transference of merits. 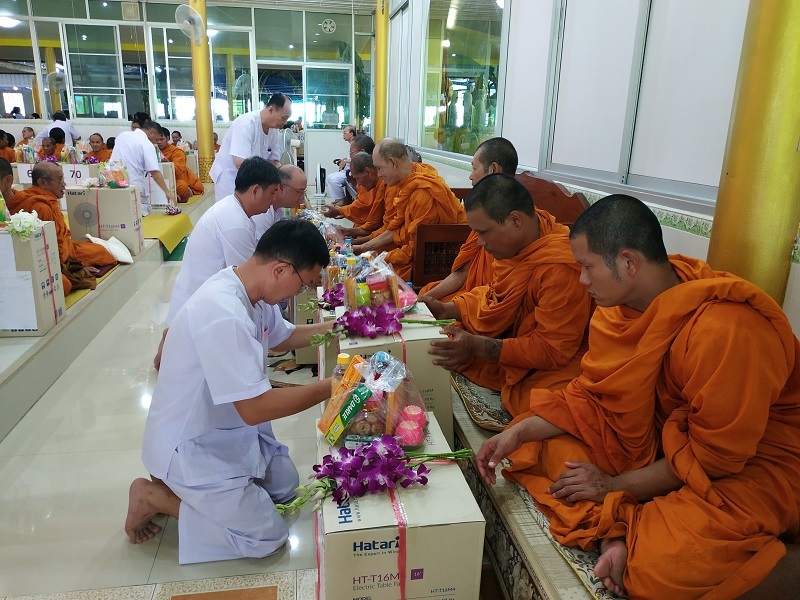 Donors who are present also assisted to represent donors who were not able to make it to this trip by making the offerings on their behalf. 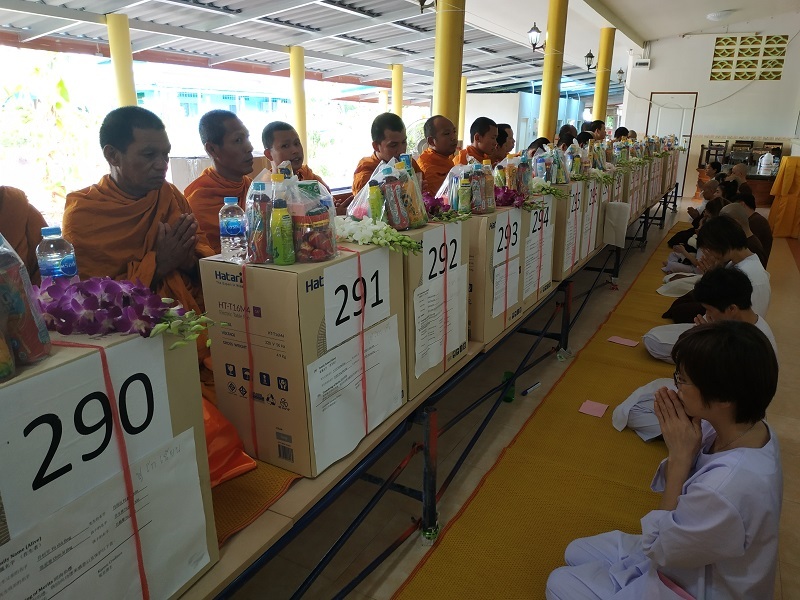 The particulars of each donor is pasted on each box of the fan. 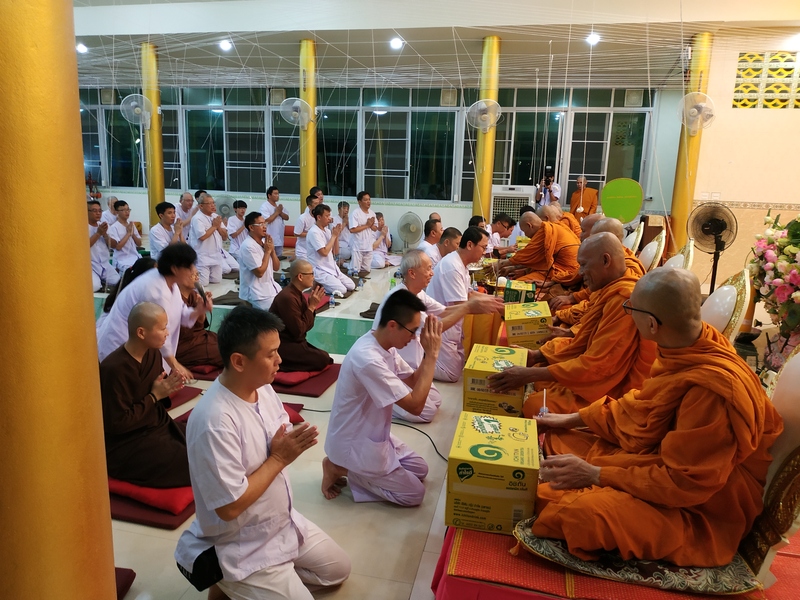 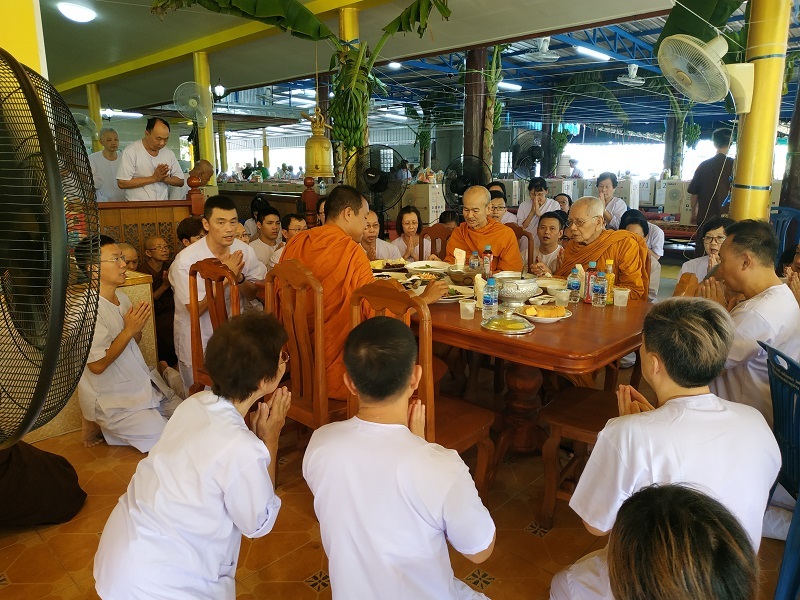 The monks received the offerings from the donors and the representatives. 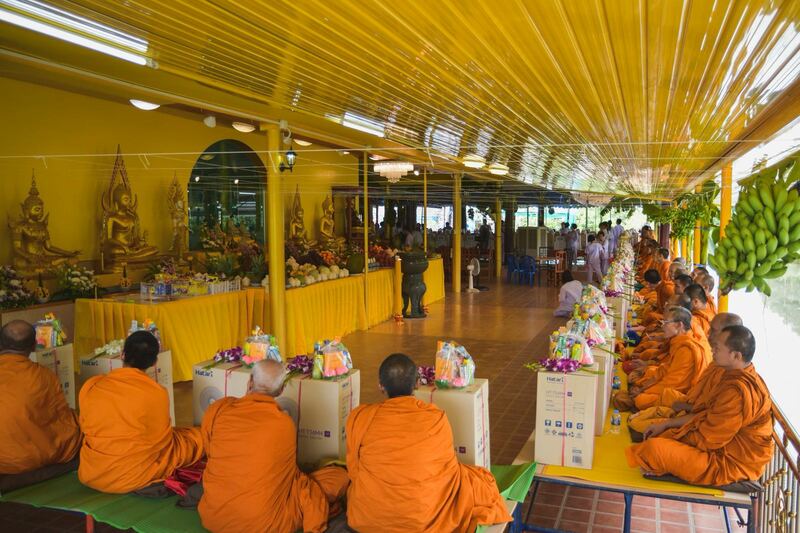 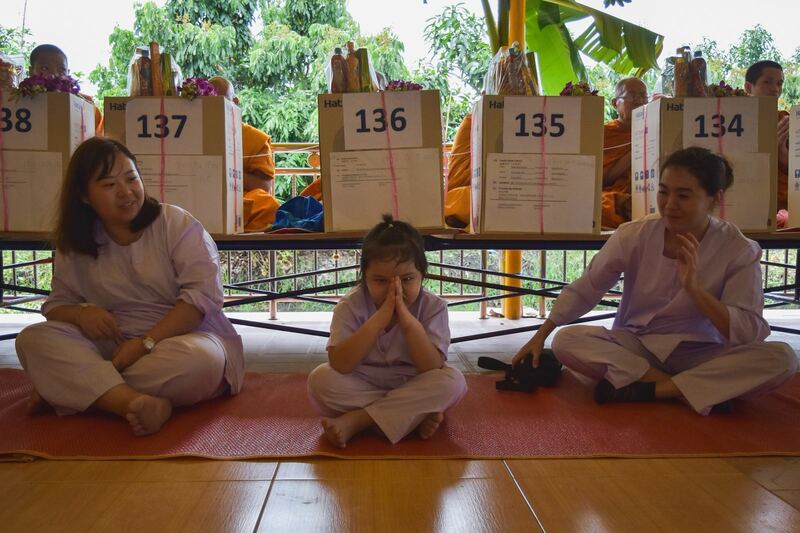 This is followed by the request for 5 precepts which Luang Phor administered the 5 precepts. 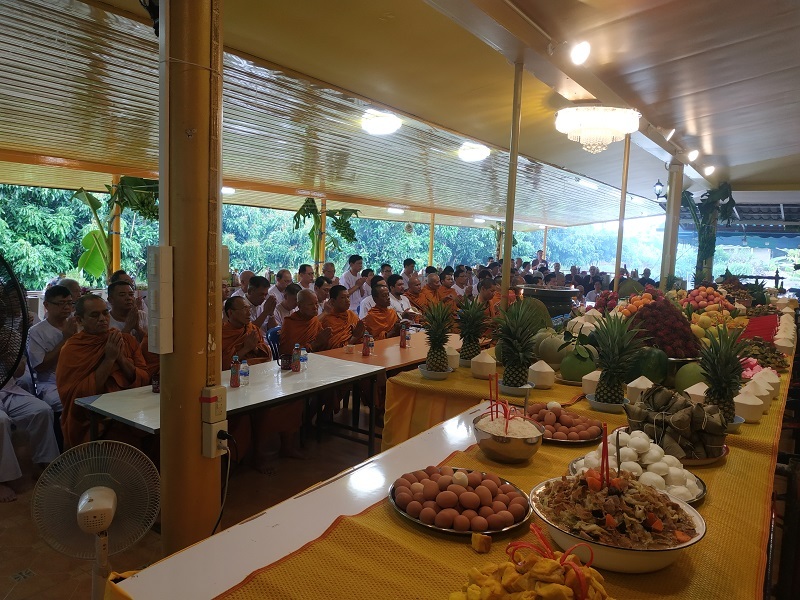 Above: Offering of Luang Dana to two abbots of Wat Khlong Tan and Wat Dhammachedi Sriphiphat. 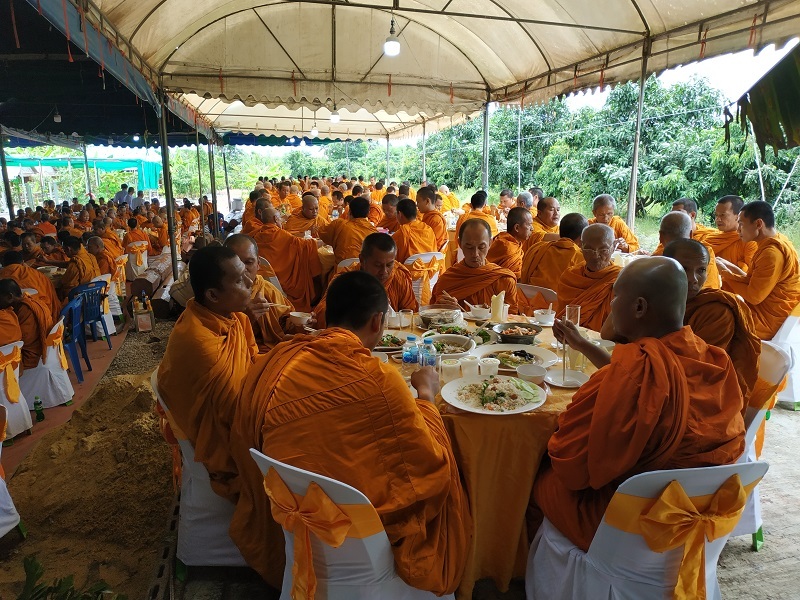 Above are offering of lunch dana to invited monks. 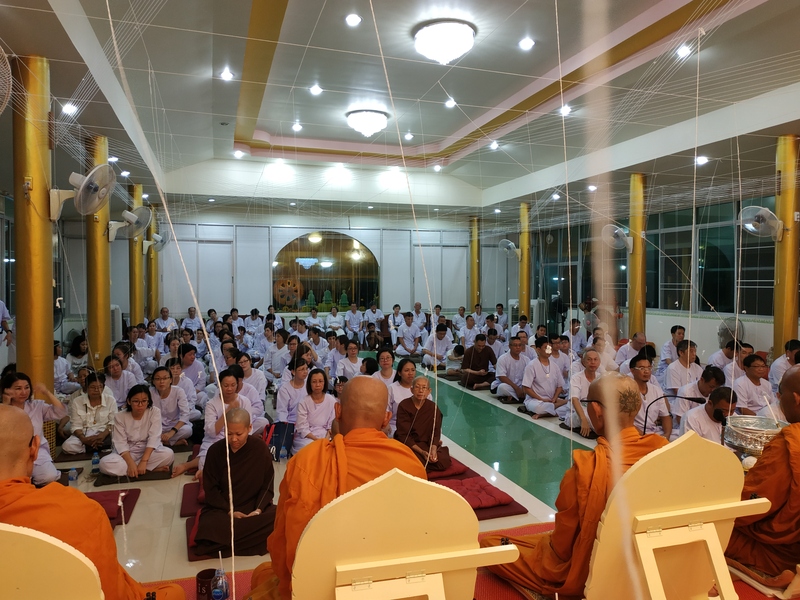 The hall is tied with interlink white strings where the monks hold when they are performing chanting. 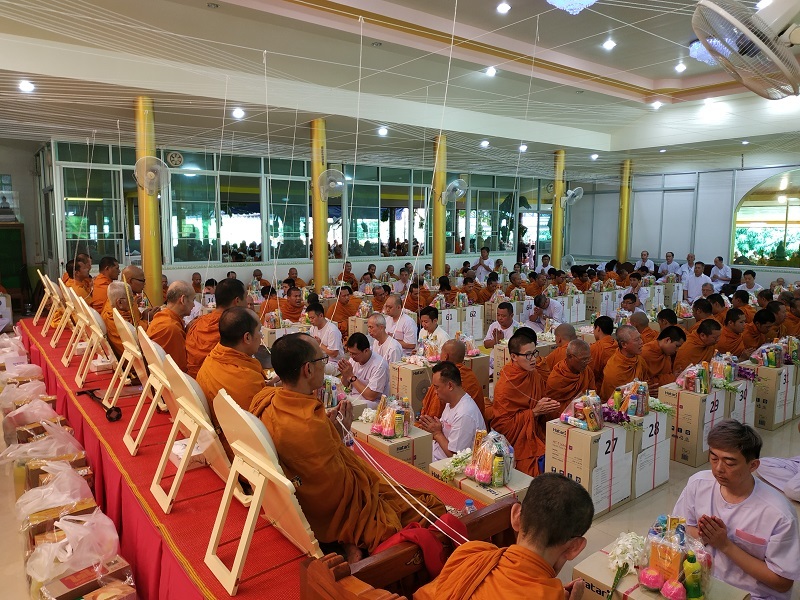 Each participant took a white string to link to them. 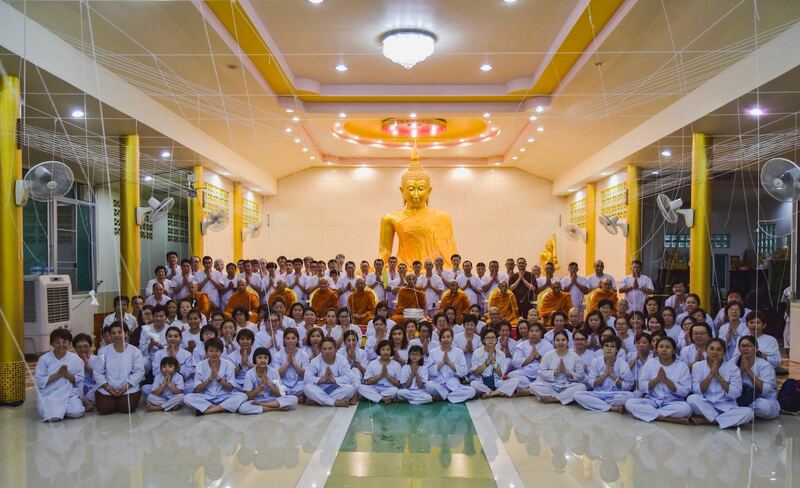 Above: Group photos on 25 August 2018.